Review Context: I have played many survival horror games including Resident Evil, Resident Evil 2, Resident Evil 4, Resident Evil 5, Resident Evil 6, Dead Space, and Dead Space 2. This is the very first Tango Gameworks game I ever played. Tango Gameworks, a department of Zenimax Asia, hit a home run on there very first game. From starting out with the high expectation of being published by Bethesda Softworks, they nailed it. I mean with the help of Shinji Makami, or the creator of Resident Evil the game was bound to be a success. The Evil Within automatically draws you into it’s story, with you being detective Sebastian Castellano, and getting sucked into a world of horror, murder, fright, and mystery. Trying to survive is not your only goal in this world, but keeping your two junior detectives safe is also on the agenda. One of the first things you will notice about this game is the gratuitous amounts of gore and blood. Although it strangely fits the atmosphere that the game creates. The very first level of the game leads to one of the first problems in the game; The Evil Within has many continuity errors. After being wounded in the leg in the first tutorial level, you just walk it off like nothing happened in the next level. This happens at other parts throughout the game, and although they are very minor they are still very noticeable. This screenshot may not accurately represent the PS3 version. The length of the game is usually not a common complaint with gamers, but it starts to feel like at some points of the game are repetitive. For example, one part of the game may be killing all the monsters and moving on and the very next part will be the same exact thing, but with zero to little plot progression. The limited ammo and matches always make it interesting to deduce how to beat certain parts of the game, although it can certainly feel repetitive. The atmosphere this game creates is more than memorable; it gives you that sort of feeling of impending doom. Just because of map layout and items scattered around, the levels will always have you on your toes. The atmosphere that you are one of the last sane human beings left on earth is definitely present in this game, especially when you are on your own battling a small horde of monsters only using your wits and brain power. The levels actually feel as if you were exploring a hospital, underground sewer system, or even a creepy village that was in Resident Evil 4. The thing that makes this game even memorable are, surprisingly, the death scenes of your character or others. These deaths are so gratuitous and violent that they always take you off guard. These deaths add a level of fear that most games don’t have. For example, you don’t want to see that super violent death so you want to survive. One of the most interesting parts in where you go to get your upgrades, with it being in black and white it adds sort of an artsy feel to the whole process. The other realm where you get your upgrades feels like it is the only place where you can feel somewhat safe. Even though you know there are no enemies around, you get that feeling in your gut that something is off. It probably has to do with the way one gets their upgrade. To obtain the upgrades you walk over and sit in an electric chair and get them shocked into you. Who would’ve known that getting extreme shocks throughout your body can increase your overall health? Finding the keys in the main part of the game allows you to then unlock safes in this realm. This adds a fun collectible component to the game, just because you never know if you will get that little bit of ammo when you need it or more brains/guts to pay for that new upgrade in that chair. That’s right, in The Evil Within you trade brains/guts to get shocked in an electric chair for new upgrades. This makes perfect sense in a world overflowing with undead monsters. The Evil Within has a very disturbing, but realistic style of art. Everything you come across in this game looks real which makes it ten times scarier. The NPC enemies look amazing even on the Playstation 3. They look so disturbing and real that it kind of makes you sick to your stomach a little bit, and scares the hell out of you. The enemy AI in the game isn’t horrible but could be improved on slightly. Although they serve their purpose, you could notice in certain levels the AI will be completely oblivious and stupid. Sometimes theit stupidity works in your favor, like sending them into their own traps. This is a very fun and interesting dynamic to the game because it allows the player to think and say, “Hey would I rather kill this guy with my bullets, or would I rather lure him over to this trap and have him set this trap off killing themselves.” It’s the hard questions that this game possesses. 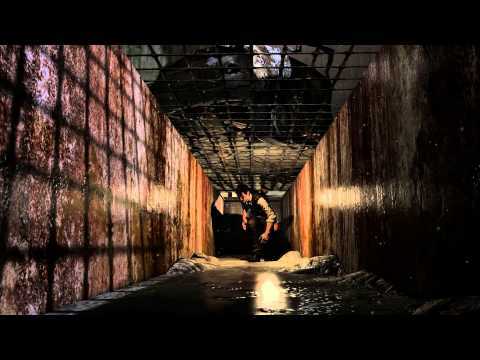 The Evil Within definitely is one of the best survival horror games that has came out in a long time. 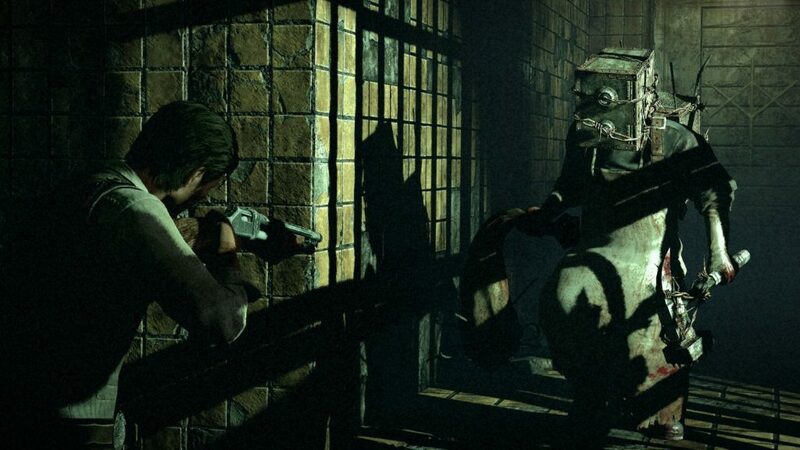 Most survival horror games focus more on the jump scare elements rather than setting up the horrible creepy atmosphere that The Evil Within sets up. This combined atmosphere and horrifying imagery makes anyone scream or get goose bumps when they play this game. 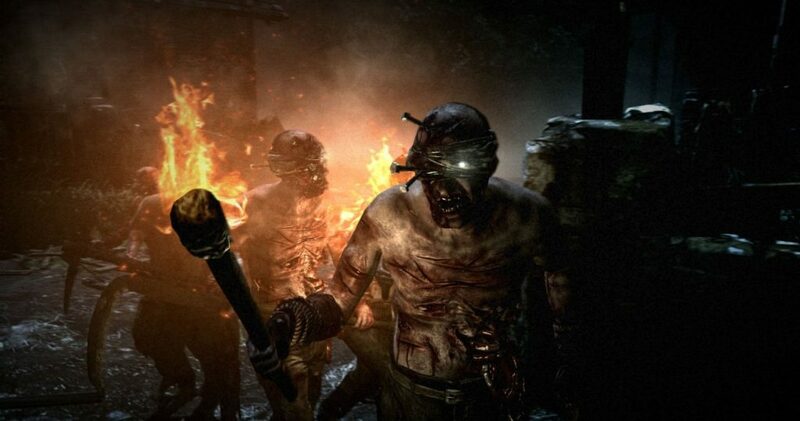 Hopefully more developers follow what Tango Gameworks and Bethesda set out to do, and it only makes the future seem even brighter for the genre of survival horror. No minireviews for this review yet.